The accompanying images depicts the conference venue. All conference sessions will take place within the City East Campus. The conference accommodation is within a five minute walk. 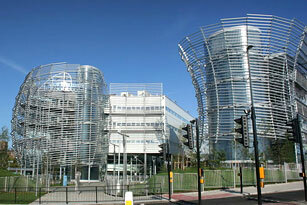 The event takes place in the Newcastle Business School and School of Law Building (building no. 17). Note that the accommodation is to be found very close to the event venue, as indicated on the accompanying map. We would expect most IWMW 2014 delegates to arrive at the venue on the opening day and then travel to the accommodation after the talks finish on the opening day. Newcastle city centre is compact, so it’s easy to get around on foot, bike or by Metro. Note that you can view details of how to get to the IWMW 2014 venue and accommodation. 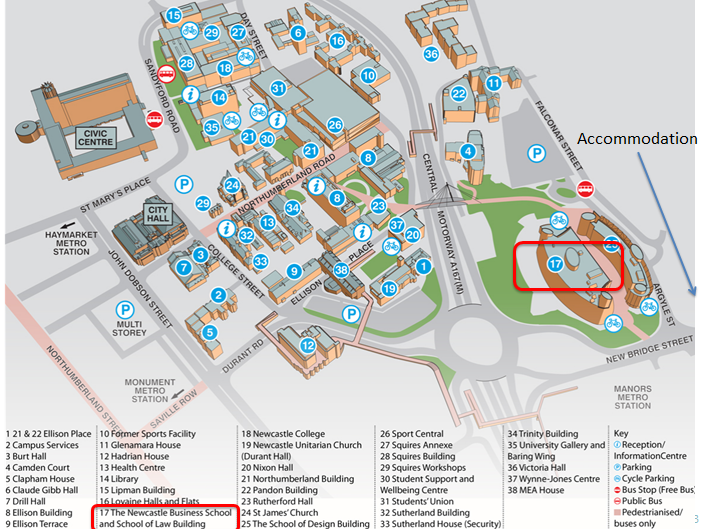 View campus maps provided by Northumbria University. Check in is from 14.00, but you may be able to check in earlier depending on room availability.